Concert Photography… That is a tricky one as always… You have to deal not only with the low light and not using a flash, but on top of that you have these crazy colors going on at the same time… A few days ago I covered an event on Georgia Regents University called Jaguar Jam, which was an event focused around GRU Athletics and Homecoming. It was located at Christenberry Fieldhouse. 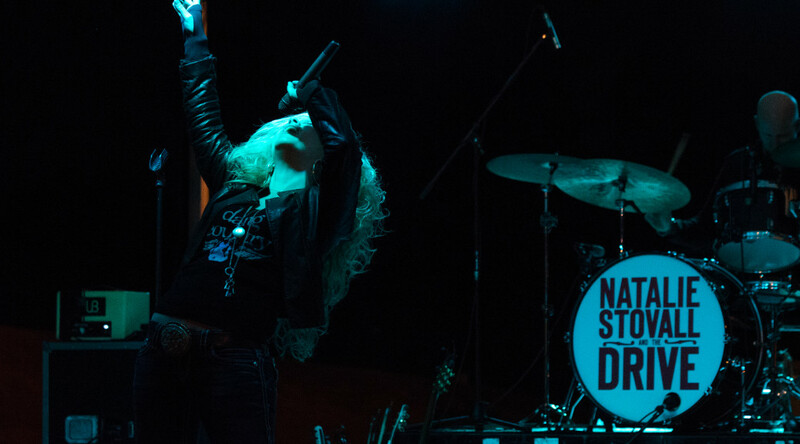 Natalie Stovall was the entertainment for the night and she sang many songs that night that were incredible. Natalie definitely was a great singer and I really enjoyed how she kept the crowd’s energy up as well. Since I had to shoot without a flash I had to push that ISO and utilize some noise reduction in post. I shot it with my go to lens, a 70 – 200mm f/2.8, since there was a stage and I didn’t want to go through the process of getting all the way to the front in other people’s way. For me with concert photography it is very difficult to get consecutive good shots because you usually will get one of two things: An Actions shot of them singing or A flattering picture of them dancing or singing. There are many things that hinders that shot from their microphone placement and other like interesting variables that have them covering their face or instrument. I ended up with only half the photos I shot. I definitely like some of the photo results I got and overall satisfied with my performance at the event. I will definitely be doing concert photography more often. (if I can) Definitely a challenge. Just a few weeks ago I did my first family photoshoot. It went great and smooth due to great preparation on my part and the family as well. There was a location that was put out there. The Old Enterprise Mill. A definitely great location, when the weather is right. The other location we used was the train tracks downtown. With getting ready for a photoshoot it goes without saying that you should adequately prepare for the shoot, if that is by getting posing ideas from other magazines or even Pinterest. Pinterest, believe it or not has a lot to offer in that area. There are loads of images that can get you inspired and you can simple pin them to a board to save them for later. 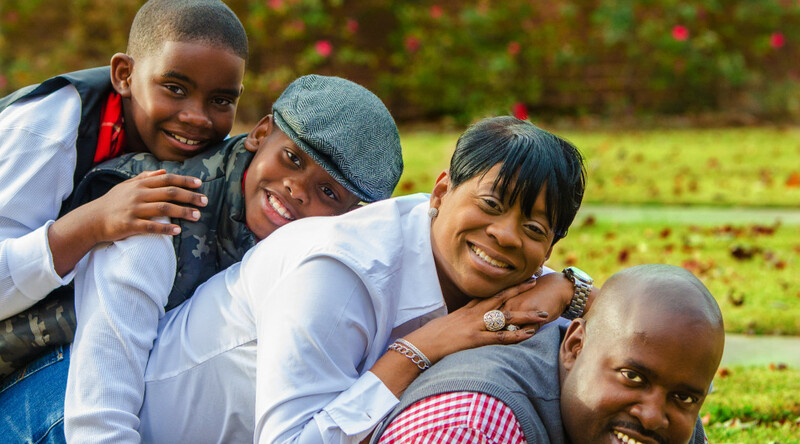 Having the family dress the part can make or break your shot as well. Their poses and inspiration can come easy, but the poses, location, and inspiration can just as easily break your photo. If everyone is wearing different colors and patterns it will not compliment each other. No matter how beautiful your location is, if everyone doesn’t compliment each other it is a BUST! You can help yourself and the family prepare by letting them know that. The other way you can easily prepare is by clearing out your memory cards, charging cameras and flashes that you plan to use. Doing this mitigates possible issues that you may run into. The last thing that I usually do to prepare for a shoot is to go and “recon” the area where pictures will be taken to get an idea of the land to see where a nice photo could be done and how the light looks there in advance of the photoshoot. You should do it a day in advance, but if that is not an option, then you should go an hour or two before the client is due to arrive. I personally take pictures of the area because you can take that back with you and show future clients the area to suggest it for future shoots if they don’t have their own location in mind. Fashion! Shooting fashion requires a different spin on photography strategy than an average portrait, because with fashion the MAIN subject is the outfit. While your model and the pose is important, it is more important how they both compliment the outfit. Something that you should keep in mind is to make sure you have plenty of light for the outfit. using a simple lit background allows there to be no distraction or another item to compete with the outfit. A neat thing I personally like to add is a reflection at the bottom to create separation. This photoshoot was based on a piece by Tuttie Lu, a fashion designer in Augusta, GA. The piece is called: The “Crush” Dress. It is a Jersey Dress with lace sleeves and gold zipper detailing that allows it to be dressed up or down. The model was Na’Jelica Burnett. If you would like to get in contact with either the model or the designer let me know. I used a simple white background and a 3 Point Lighting system: 2 12×24 inch soft boxes to give it the blown out white background and to provide separation. I used a 48″ Octobox with a Honeycomb Grid to focus the light on the subject. I also used white glossy panels on the floor to provide the reflection and I shot it tethered to view the results as they came in through the camera. Last updated by Michael Banks at February 27, 2014 .